Henri Coanda was a Romanian inventor, a pioneer in aerodynamics and the builder of world’s first jet plane. He discovered and gave his name to the Coanda effect. Henri Coanda was born in 1886, in Bucharest, Romania. He studied at the Saint Sava National College and in 1899, his father transferred him to the Military High School in Iasi. In 1903, he continued his studies at the School of Artillery, Military, and Naval Engineering in Bucharest. Coanda graduated with the rank of artillery officer, but he was more interested in the technical problems of flight. In 1905, he built a missile airplane for the Romanian Army. In 1907, he continued his studies at the Montefiore Institute in Liège, Belgium. In 1909, he traveled to Paris, where he enrolled at the Institut Supérieur de l'Aéronautique et de l'Espace, also known as SUPAERO. In 1910, he designed, built and piloted the first jet plane, known as the Coanda-1910, which he exhibited at the second International Aeronautic Salon in Paris. At the airport of Issy-les-Moulineaux near Paris, Coanda lost control of the jet plane, which went off the runway and caught fire. He escaped with some minor injuries to his face and hands. Between 1911 and 1914, he worked as technical director of Bristol Aeroplane Company in the United Kingdom, where he designed several airplanes known as Bristol-Coanda Monoplanes. In 1912, one of these planes won the first prize at the International Military Aviation Contest in the UK. In 1915, he worked for Delaunay-Belleville in France, where he designed and built three different models of propeller airplane, including the Coanda-1916, with two propellers mounted close to the tail. Other significant inventions were a construction material known as beton-bois, a device for detecting the liquids in the soil, a mobile platform for aerodynamic experiments, photographic aerodynamic specters. In 1930, he discovered the Coanda effect that is the tendency of a stream of fluid to stay attached to a convex surface, rather than follow a straight line in its original direction. On October 8, 1934, he got the patent for the invention called “Procedure and device for the deviation of a fluid inside another fluid”. In 1935, he designed the Aerodina Lenticulara, which was very similar in shape with what is known today as “flying saucer”. 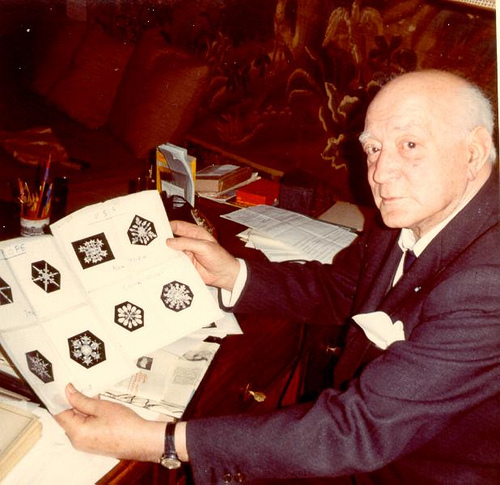 For his successful inventions, Henri Coanda was awarded many distinctions such as Harry Diamond Laboratories Award, Award and Grand Gold Medal “Vielles Tiges”, UNESCO Award for Scientific Research, The Medal of French Aeronautics, Order of Merit, and Commander Ring. Coanda died in Bucharest, November 25, 1973 at the age of 86 leaving behind 2608 inventions. In 1995, the „Henri Coandă” Air Force Academy was established in Brasov. In 2004, Bucharest Otopeni International Airport was renamed Henri Coanda International Airport.